Pioneering triazine replacement for hydrogen sulfide mitigation. An honest and informative account of the design, development, properties, field trial results and future direction for Clariant's exciting new technology are discussed, as well as a critical evaluation against the triazine industry benchmark. "H₂S Scavenger Development During the Oil & Gas Industry Search for an MEA Triazine Replacement in Hydrogen Sulfide Mitigation & Enhanced Monitoring Techniques Employed During their Evaluation" will be presented by Dr. Grahame Taylor, Global Innovation Manager, H₂S Scavengers, Clariant on April 8, 1:30-2pm (Session 6). Groundbreaking insights into asphaltene and achieving a successful flow treatment program feature in two presentations. The "Impact of Inorganic Salts and Minerals on Asphaltene Stability and Inhibitor Performance" by Clariant Application Scientist, Dr. Abhishek Punase, takes place on April 9, 11-11:30am. This study, for the first time, highlights detailed contribution of inorganic impurities, specifically of ionic salts and minerals originated from drilling and completion fluids or reservoir minerals, on the overall asphaltene stability and inhibitor performance efficiency (Session 7). Specifically in relation to unwanted asphaltene deposits, Clariant introduces a new approach allowing more objective and reliable product development and recommendation strategy to be adopted for increased success in field applications. "What Can We Learn from Analysis of Field Asphaltenes Deposits? Enhancing Product Development through Knowledge-Based Field-to-Lab-to-Field Approach" will be presented by Dr. Janaina Aguila, Lab Chemist Clariant, on April 9, 3:30-4pm (Session 10). 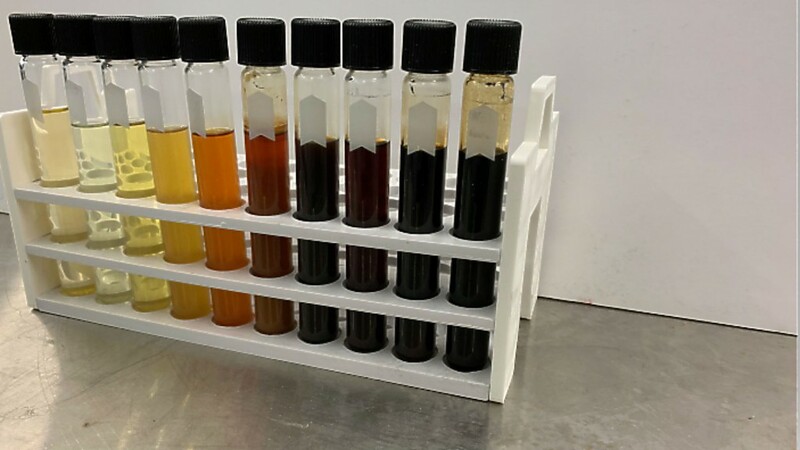 Successful novel testing methodologies for the shale oil industry. Clariant presents its successful progress on supporting the Shale-driven need for quick and elaborate testing to effectively evaluate new products for the prevention and remediation of known paraffin wax issues. "Out with the Old: Developing a New Methodology for Paraffin Wax Dispersion and Inhibition Testing" will be presented in the knowledge-sharing poster session by Amanda Miller, Senior Chemist Clariant, on April 9, 10-10:15am (Session KS07). Cost-saving support for overcoming the real-life challenges of severe paraffin wax deposition comes to the fore in the presentation "First Occurrence of a Shale Oil with Trimodal Carbon Chain Distribution and Paraffins Higher than Nonacontane (C90H182): A Real Fail Test for Existing Chemistries and Methods" by Dr. Amir Mahmoudkhani, Global Head of Flow Assurance, on April 9, 1:30 - 2pm (Session 11). Dr. Jon Wylde, Global Head of Innovation, Clariant Oil & Mining Services, comments: "Advances in oilfield chemistry support oil and gas producers in achieving more efficient operations in the long run, from drilling to processing. This is particularly relevant in light of, for example, the growth of oil production from unconventional shale plays in North America driving a greater need for fast, effective responses from the chemical industry. We are proud to take such an active role in the 2019 OCC, reflecting Clariant's expertise and commitment to exploring and pushing technology frontiers, and finding solutions to critical industry issues." For more information on Clariant's conference and exhibition participation at 2019 SPE International Conference on Oilfield Chemistry, visit booth 101.